With the longest name ever Schlachthofbronx unveils their new mixtape. 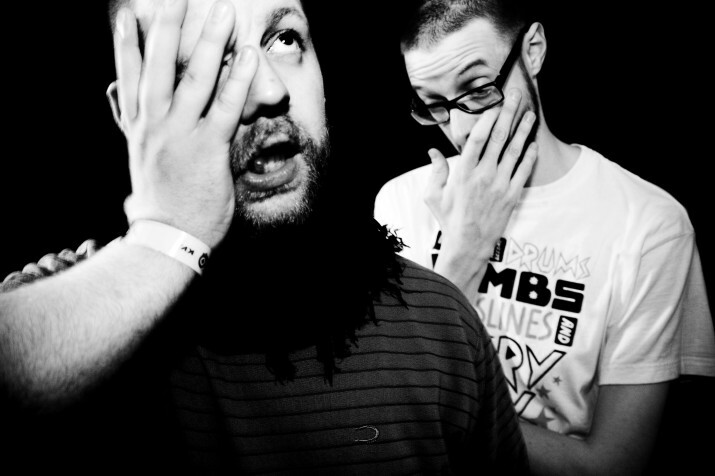 Schlachthofbronx drop their 15K Free EP with seven killer tracks!!! From Trap to heavybass, and their amazing signature style!!! New York’s Wes de Graaf has made a great song even better!! This fella, has been droppin some of the dopest Moombah/Bass tune although this time we HAD to feat the guy because he moved to BASS, which is more our cup of tea!! What is the european newest approach to cumbia? Dumbia and graveton !! Get it for free!! schlachthofbronx goes moombah/bass in this wicked remix from market price’s valentino khan!! The Soca-Siren-Rave release of the year, Schlachthofbronx’ “Mudders” EP + free download of the title track!